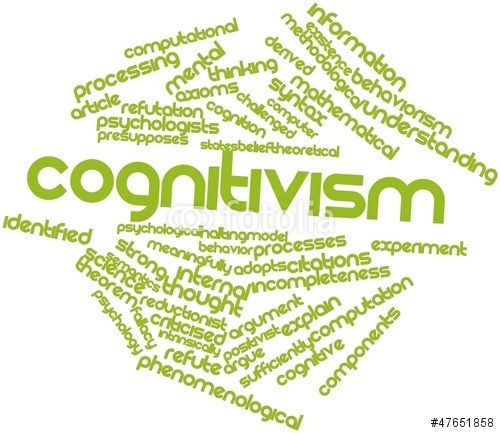 The cognitivist paradigm essentially argues that the “black box” of the mind should be opened and understood. The learner is viewed as an information processor (like a computer). A response to behaviorism, people are not “programmed animals” that merely respond to environmental stimuli; people are rational beings that require active participation in order to learn, and whose actions are a consequence of thinking. Changes in behavior are observed, but only as an indication of what is occurring in the learner’s head. Cognitivism uses the metaphor of the mind as computer: information comes in, is being processed, and leads to certain outcomes.